Home › Blog › The Royal Wedding – Happy Anniversary! The Royal Wedding – Happy Anniversary! Once again a year has flown by and the Anniversay of the Royal Wedding has come knocking at our door already! Of course this occasion is one that we, at Bowes-Lyon Partnership, will most definitely be celebrating! A television spectacle viewed by over 2 billion people globally showed the transformation of Kate Middleton from university graduate to highly regarded member of society and showed a more down-to-earth side of the British Monarchy. Now a year on, Catherine has proven her regal standing in a way that the public can relate to and the World began to see her as a fashion icon, a philanthropist and a possible future queen. After a year of marriage that many deem to be one of the hardest, Ingrid Seward, editor-in-chief of Majesty Magazine, believes the couple have “adapted to their role admirably. The key to longevity for them is their long, solid friendship-a tremendous and admirable benefit…true romance.” Whilst it most certainly sounds nothing short of a fairytale, it’s one that for the most, we all believe in. 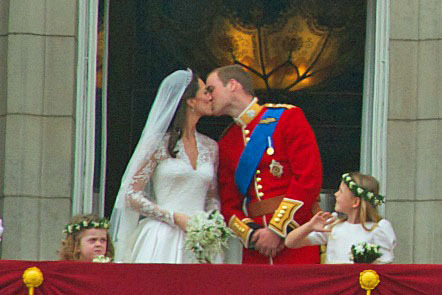 There’s nothing more satisfying than celebrating such a captivating event that we can all remember where we were whilst waiting for the first glimpse of the Alexander McQueen dress or the star studded guest list and more importantly for us at the Bowes-Lyon Partnership office, the highly anticipated balcony kiss! So as the Royal couple prepare for a humble and quiet celebratory anniversary, they can rest assured, the nation will do their upmost to raise a glass (or three) at some point this weekend! Despite the Royal Wedding being such an apt occasion in the Bowes-Lyon Partnership diary, we understand the importance of all our members’ individual needs. We ensure that we provide support along the way and ease all of our members into the dating process , guiding them, for as long as they need us to! If you want to take that first step to changing your life and meeting someone new, then contact Hayley or Natalie at http://bowes-lyonpartnership.co.uk/contact-us/ or call us for an informal chat on 0207 152 6011. ‹ London’s Springtime Dating Venues Revealed!